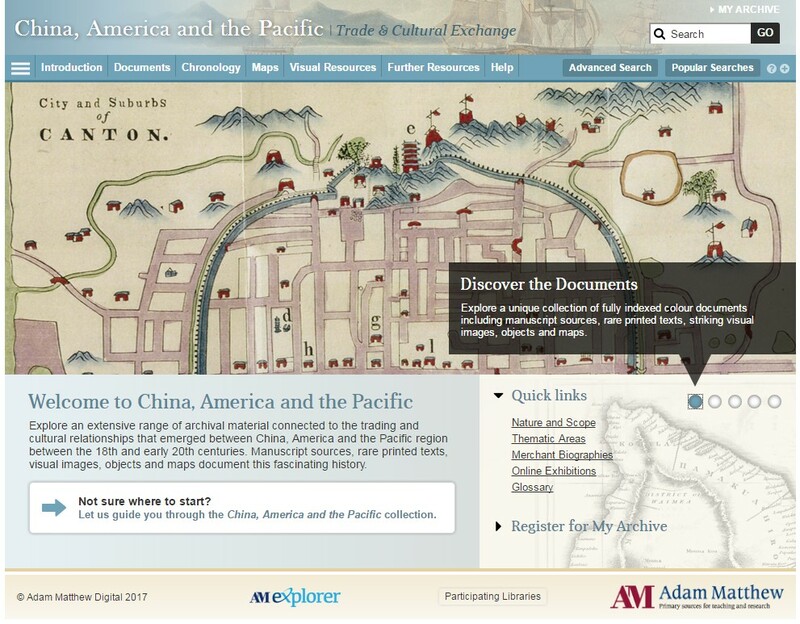 The Library currently has trial access to the fantastic primary source database China, America and the Pacific: Trade & Cultural Exchange from Adam Matthew Digital. The database allows you to explore the cultural and trading relationships that emerged between America, China and the Pacific region between the 18th and early 20th centuries. Trial access ends 13th February 2017. The database can be accessed for the duration of the trial period via e-resources trials. Access available until 13th February 2017. This entry was posted in Library, Online resource, Trial and tagged China, Databases, History, International Relations, Manuscripts, newspapers, Politics, primary source, United States by cstirling. Bookmark the permalink.